How can I book my computer in for repair? To help speed up the process you can complete our online booking form before you visit. What if I can't get to you during office hours? Alternatively we can also arrange collection of your computer from your home or workplace, call out charges will apply and are dependant on your location. Can I speak to an engineer on the phone to discuss my computers problem? Of course you can, if you are unsure about your repair options or have any questions before deciding to visit our offices don't hesitate to give us a call. Do you cover warranty repairs? Yes there is no need to travel all the way to the Apple store at Bluewater for your warranty repairs. 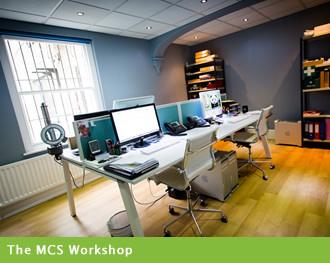 Simply drop off your computer at our Maidstone workshop and we will arrange your warranty repair with one of our trusted Apple Authorised partners. We provide a professional Apple Mac diagnostic and repair service for all Apple laptop and desktop computers including iPads, iPhones and iPod's. As an Apple independent service provider we cover both warranty and out of warranty repairs. With over 35 years experience we have been working with Apple computers since the beginning. Not just a repair centre, we are a full Apple Macintosh solution provider. Our Apple certified engineers are always on hand to give you the service you expect and will go above and beyond to ensure your satisfaction. Based in Maidstone, Kent book your Mac in for repair today. Many problems can be diagnosed while you wait and often we can provide same day repairs.